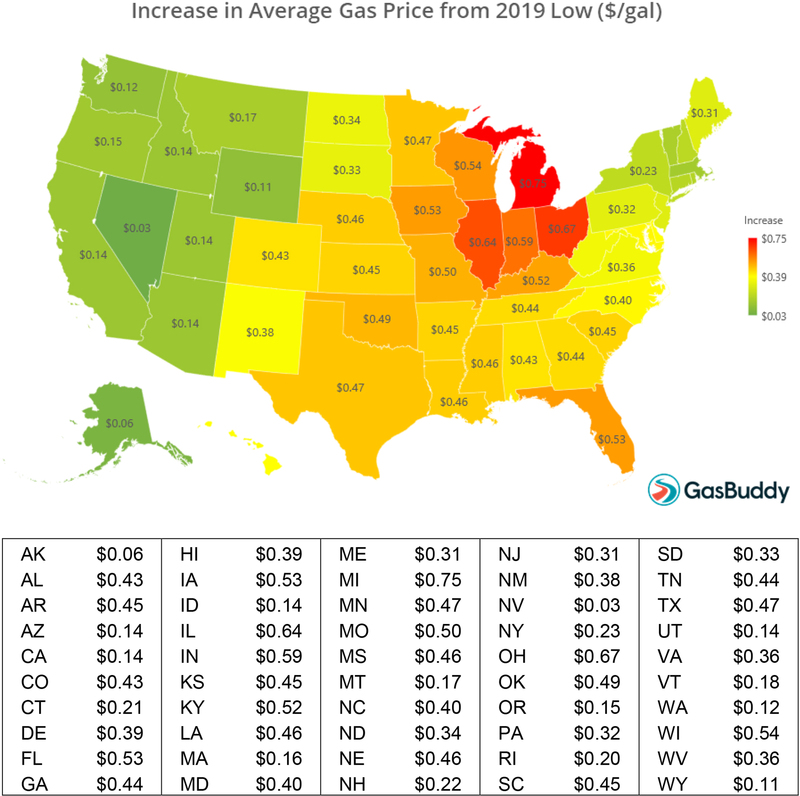 BOSTON (March 20, 2019) – GasBuddy, the only company connecting drivers with their Perfect Pit Stop, today reports that the national average price of gasoline has risen 35 cents per gallon since January to $2.58 per gallon and now stands at its highest level since November as seasonal changes and refinery problems push prices higher. Yet as prices rise across the country, the pain has not been equal from state-to-state. The United States EPA mandates specifications for gasoline on refiners each year from May 1- September 15 in most areas, while some areas like California introduce summer gasoline earlier in the year and keep it well into autumn. Once the transition is completed in May and refiners boost production following maintenance, gas prices may ease, but they still are likely to rise further until then.